Many bigfooters, being certain that bigfoot exists, don’t bother reading the skeptical literature. I feel this is a mistake, especially when the books get traction in the skeptical world. As bigfooters, I feel it is our duty to be aware of the skeptical arguments and to grapple with them. After all, many of the points made are valid, and since bigfoots are real animals, these points can and should be dealt with. It was with that spirit in mind that I dove into Michael McLeod’s Anatomy of a Beast. There are many good things about this book. McLeod did some real footwork putting this book together. He interviewed many people in the bigfoot world, he attended some bigfoot lectures, and he even read some of the pro-bigfoot literature. McLeod dug into the history of some of the people in the early days of bigfooting, which I found quite interesting. I knew little of Ivan Sanderson, for example, and I enjoyed reading McLeod’s version of Sanderson’s life. What I found most interesting were the anecdotal stories that arose from the interviews. Talking to the likes of Ivan Marx, Patricia Patterson, Rene Dahinden, and Peter Byrne is bound to bring some interesting stories to light, and McLeod included many of them in his book. I sincerely enjoyed reading about their perspectives and insights into the history of bigfooting. He also spoke to some minor players, such as Jay Rowland who was in Bluff Creek back in 1967 when Roger Patterson and Bob Gimlin got the PG Film. These interviews, though insightful, have a downside as well. He puts great importance on minor discrepancies in memory and perspective. These discrepancies are touted as strong suggestions that the PG Film, and indeed all bigfoot encounters and footprint finds, are a well-orchestrated hoax. It was obvious from the beginning of the book that McLeod is a man setting out to prove the Patterson/Gimlin Film is a hoax. On pg. 14, he muses about how convincing the PG Film is “if one is not predisposed to reject Bigfoot out of hand.” It is obvious from his writing that McLeod is in fact predisposed to do just that, not giving the evidence more than a quick thought before rejecting it. To investigate the film, it seems more productive to enter the study of it from a neutral standpoint and see where the evidence leads. McLeod does the opposite. He “knows” the film is a hoax, so he explores the people in the field and finds out their eccentricities, minor memory inconsistencies, and personal flaws to hold these up as evidence that the film is a hoax. He doesn’t examine the film subject, he examines Ray Wallace’s long record as a hoaxer. He doesn’t look at the creature’s anatomy, he talks to Dahinden about who he doesn’t get along with. He doesn’t look at the footprint evidence retrieved from the film site, he looks at the dissonant personalities involved in the Pacific Northwest Expeditions of the early 1960’s. These things, along with many more examples in the book, seem more like a sleight-of-hand trick to cast doubt on the film by putting shade on the many people tangentially involved in some aspect of the film, location, or events of that time period. Overall, the book is worth a read. The history told by the many interviewed players gives us glimpses, albeit biased ones, into the perspective of the time. It is the assumption from the get-go that the film is a hoax that does this book in from my perspective. Ad hominin attacks on the players do not make the film a hoax. To purchase the book, click the link at the top of the page. I’ll get a couple pennies out of your purchase through a partnership with Amazon. I promise to put those pennies to good use by batting down skeptical arguments like those put forth in this book. Having grown up in the 1970’s, my young mind was blessed with television shows such as In Search Of… that featured segments on topics such as bigfoot, UFOs and historical mysteries. One of the regularly-featured enigmas in these shows was the disappearance of Amelia Earhart in 1937 while she attempted to circumnavigate the globe in a small plane. Her body nor the plane wreckage was ever recovered and their location remains a mystery to this day. However, some progress has been made in this missing-persons case. Tantalizing information has arisen in recent years, and more surfaces all the time. Just last week I read a recent news item about some possible progress on the Earhart mystery, and when I scanned the article I was surprised to find a familiar name from bigfoot research: Jeff Glickman. 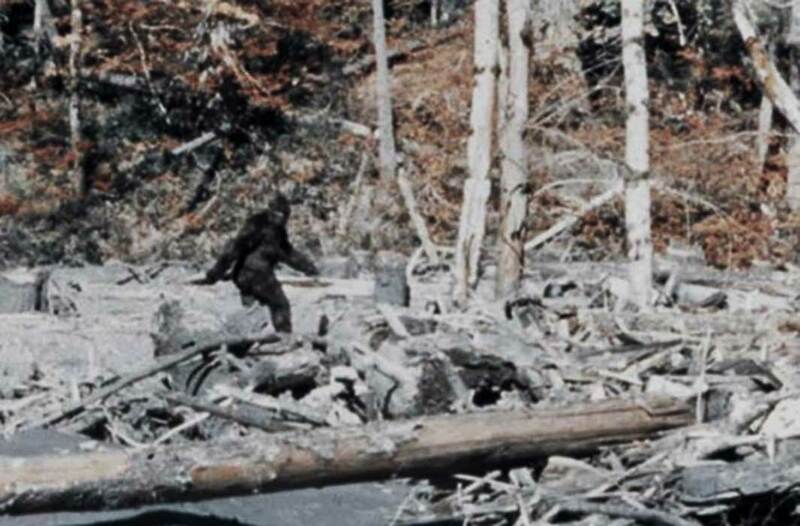 For those new to bigfooting, Jeff Glickman was the executive director of a $75k examination of the Patterson/Gimlin Film. The study was commissioned by a group that went by the name of the North American Science Institute (NASI), though it is unclear if this group did anything else but this one study. The study lasted for several years culminating in a 1998 publication entitled, “Toward a Resolution of the Bigfoot Phenomenon.” An abridged version of the paper can be read by clicking this link. 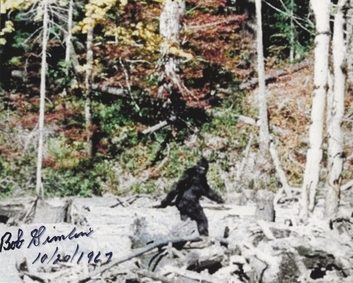 Glickman’s bigfoot work came to some conclusions that even today seem unlikely (such as the mass of the film subject being 1957 pounds), but did so using well-established methods. At the time, Glickman’s analysis was one of the best ever done on the film, and we in the bigfoot community applauded his scientific approach to the film. Since the publication of Glickman’s report, only one analysis of the film is of the same or better caliber: When Roger Met Patty by Bill Munns (which is a must-read for anyone interested in the Patterson/Gimlin Film). Glickman has now been enlisted by a group called The International Group for Historic Aircraft Recovery, also known by the acronym TIGHAR. Glickman and TIGHAR are working on a hypothesis that some bones found back in 1940 might belong to Earhart. He has recently published his findings in a short paper. While I am less interested in the Earhart mystery than the bigfoot mystery, I find it interesting that Glickman is working on this project, and his involvement certainly brings to mind a couple questions. If future DNA analysis concludes that the bones are indeed Earhart’s, will Glickman’s involvement in the bigfoot subject help or hurt the acceptance of his analysis? Will the acceptance of Glickman’s work on Earhart help or hurt future acceptance of his previous bigfoot work? It is my hope that more forensics experts like Jeff Glickman will step forward to offer their opinions on sasquatch data. Their opinions might serve to open the minds and eyes of their colleagues, thus causing a domino effect.